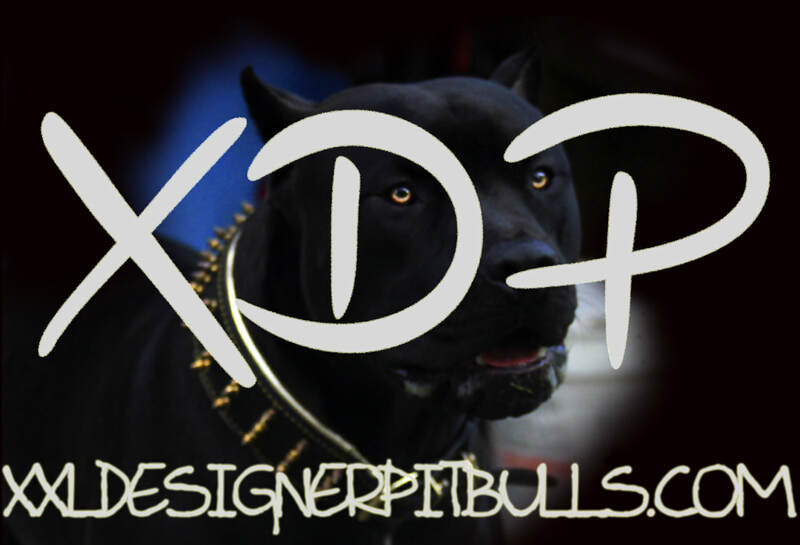 XXL Designer Pitbulls ran by Gina Geremia, has been nothing but an enjoyable experience from the moment we contacted her. Gina has been professional from the timely fashion of answering our questions to never putting any pressure on purchasing one of her dogs. She has been honest and upfront about everything, from the way she runs her business to keeping us informed about the puppies. Gina is a honest and loyal business owner and we have been so blessed to get Simba from the Dubai x Trill breeding. Here are a couple of examples of Gina's character: Simba wasn't able to be shipped at eight weeks when his brothers and sisters were, but Gina was more than willing to keep Simba until we could pick him up. When Simba was eleven weeks old, she then shipped him from Rhode Island to Pennsylvania with no troubles. Gina was persistent to make sure everything went smoothly with his travels, he was everything we thought he'd be and if we had any questions to not be afraid to contact her at anytime. Some people say things and really don't mean it, but Gina stays true to her word. After picking Simba up it didn't take us long to get him accustom to the baseball life. 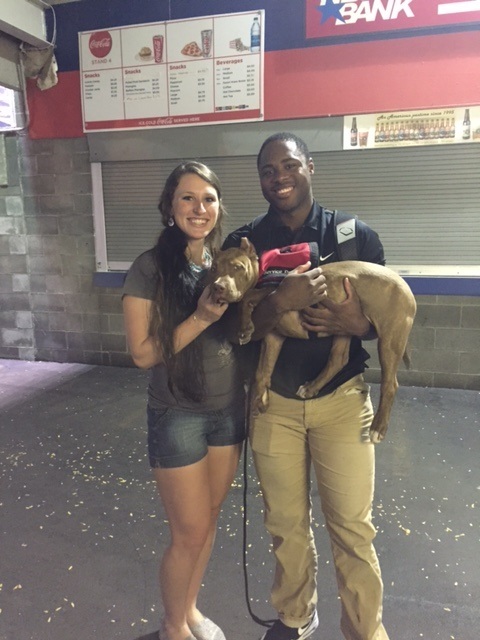 We took Simba to baseball games and people were in shock that he was only twelve weeks old, simply because of his demeanor and stature. 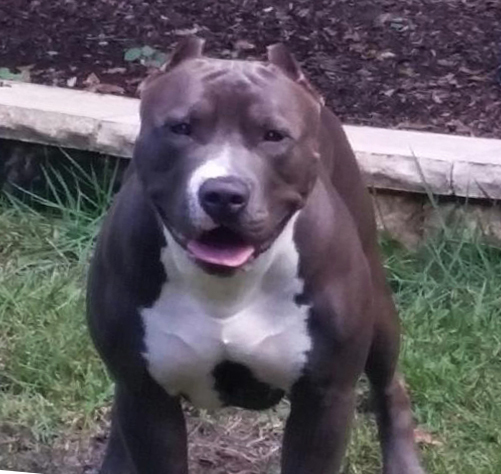 They couldn't believe that he was a pure breed American Pitbull Terrier (APBT). They couldn't get over what a healthy, friendly and good-looking dog he was. We received many compliments and obviously there is a lot of how you raise them, but considering we only had him for five days and he was getting those compliments... That just shows you how much love, time and care Gina puts towards this passion that she calls work. Simba is growing into a handsome young man, continuing to get compliments from every direction. We can't thank XXL Designer Pitbulls and Gina for the amazing work you do. Gina is not just breeding these beautiful dogs for her own reputation, but to rebuild and restore the breeds name back to the loyal and driven dogs they used to be known for. That in itself, is a blessing that she is doing this for a much greater cause than herself. 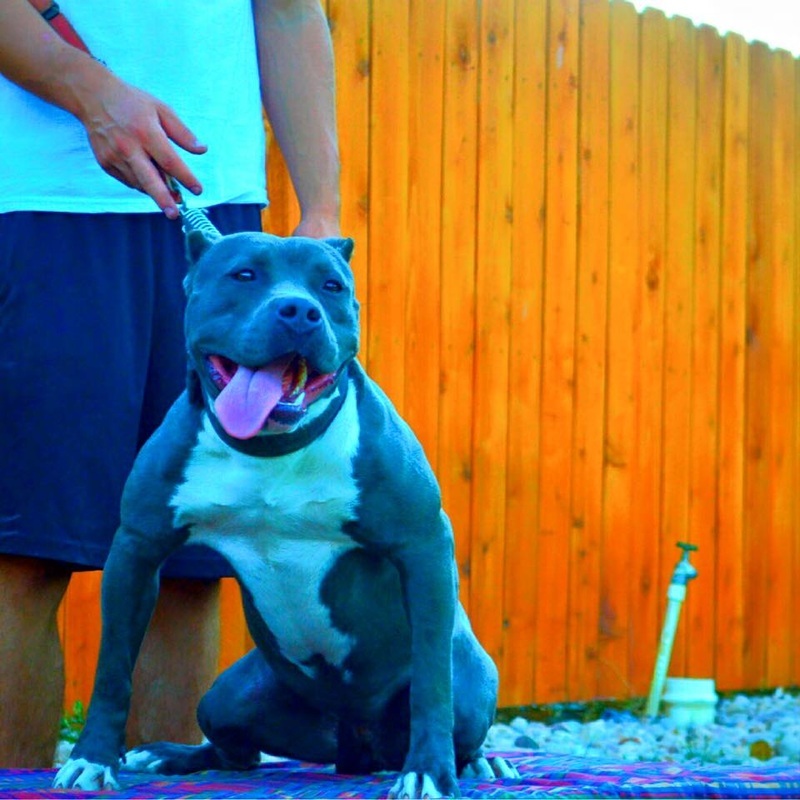 XXL Designer Pitbulls and Gina are one of a kind and we highly recommend these dogs to anyone. It doesn't matter if you have the first pick or the sixth pick, you will not be disappointed! It's been a blessing and an honor to work with such a loyal and caring individual such as Gina and our friendship has just begun!